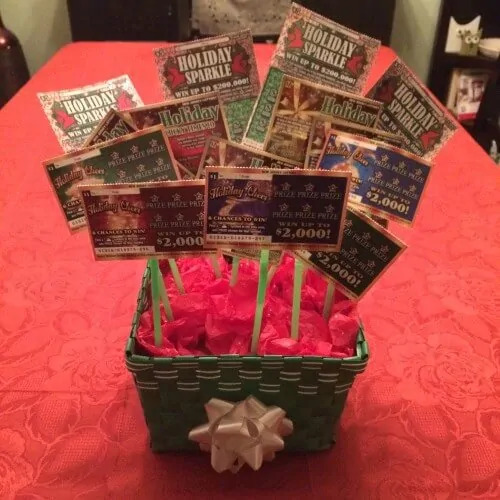 If you are looking for a DIY lottery ticket gift idea, check out these 5 Awesome ways to gift scratch off lottery tickets! This is a sponsored post. I received NJ Holiday Instant Game Tickets and compensation to facilitate this post. NJ Lottery introduced 4 fun new holiday instant games. 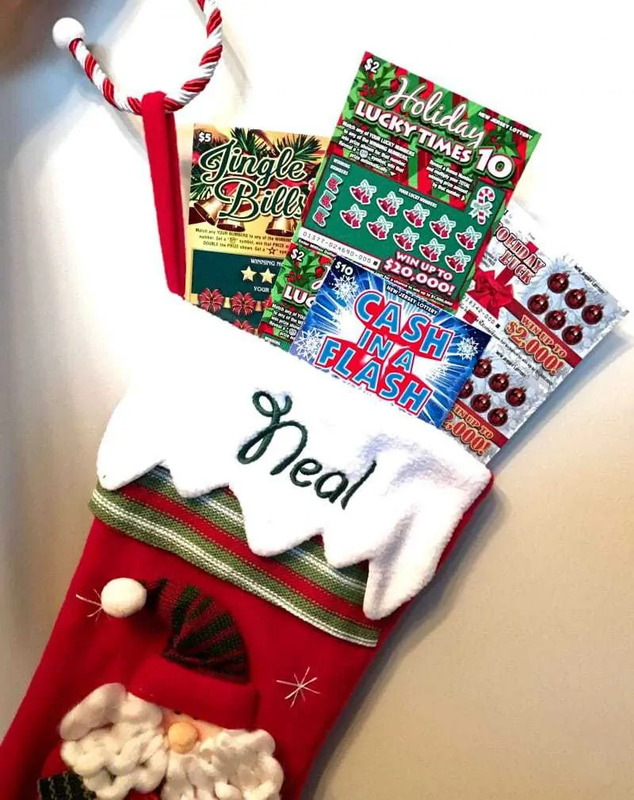 : $1 Holiday Luck, $2 Holiday Luck Times 10, $5 Jingle Bills, and $10 Cash in a Flash! NJ Lottery's Holiday Instant Games make the perfect gift for those who are 18+ on your list. I mean, who doesn't love the excitement of potentially winning a large cash prize?! NJ Lottery Holiday Instant Games are easy to purchase and even easier to gift. Their fun and festive design makes them easy to gift even without any wrapping paper. Lottery Holiday Instant Games are the perfect size for stuffing stockers! Making a collage with NJ Lottery Holiday Instant Games is easy, and makes a very cute gift. You can often pick up cheap frames at your local dollar store. Then, set the tickets up the way you want them and use tape to keep them in place. A NJ Lottery Holiday Games Mystery Gift Box makes a super fun gift, and is easy to make using an empty tissue box. For step-by-step instructions as well as the “Pull Here” printable, check out this post on how to make a Lottery Ticket Mystery Gift Box. This Holiday Games Gift Basket is simple to make. For a supplies list and how-to, check out my Scratch Off Lottery Ticket Gift Basket blog post. It doesn't get much easier than this! Stuff some NJ Lottery Holiday Instant Games into your holiday cards to give your recipient a special surprise upon opening it! If you are looking for more fun DIY gift ideas check out this cute Holiday Sleigh craft featuring NJ Lottery Holiday Instant Games and candy – yum! 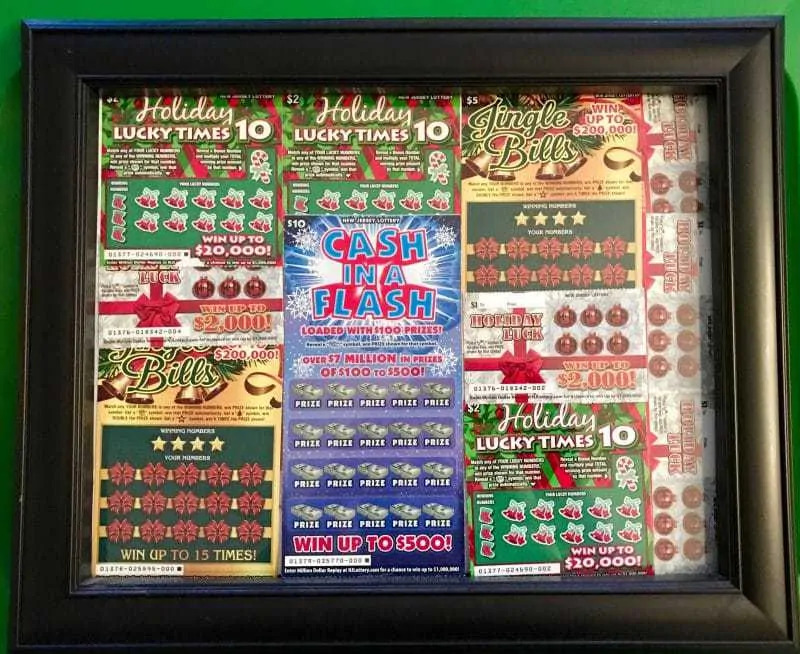 You can pick up NJ Lottery Holiday Instant Games at your local Lottery retailer, such as 7-11, Quick Check, or Wawa. Don't forget to pick up a few Holiday Instant Games for yourself while you are there! What would you do if you won big on a NJ Lottery Holiday Instant ticket?! And don't forget to enter your non-winning Holiday Instant Games Tickets into the Million Dollar Replay second chance drawing for the chance to become a MILLIONAIRE! All you have to do is join the NJ Lottery VIP Club and collect and enter $10 of eligible NJ Lottery non-winning Instant Tickets. Disclaimer: You must be 18 or older to buy a lottery ticket. The New Jersey Lottery reminds players, it's only a game…remember to play responsibly. If you or someone you know has a gambling problem, call 1800-GAMBLER®. 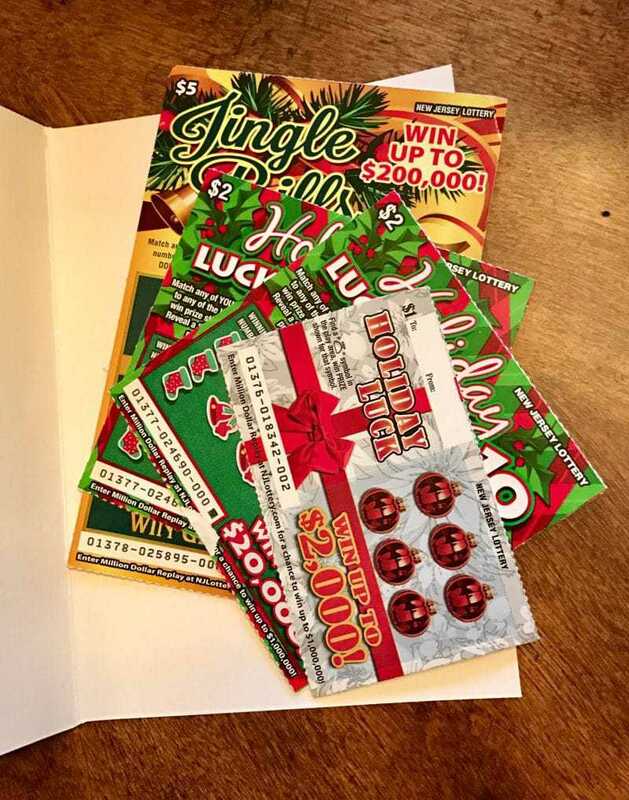 Parents are urged to think twice about gifting lottery tickets to children. If only I lived in New Jersey 🙂 But sounds like a great idea for any lottery! OMG. I would seriously LOVE this for a present or in my stocking! I live in KS and we have teh lottery here and I have the best luck, I definitely would love the man who would do this for me! 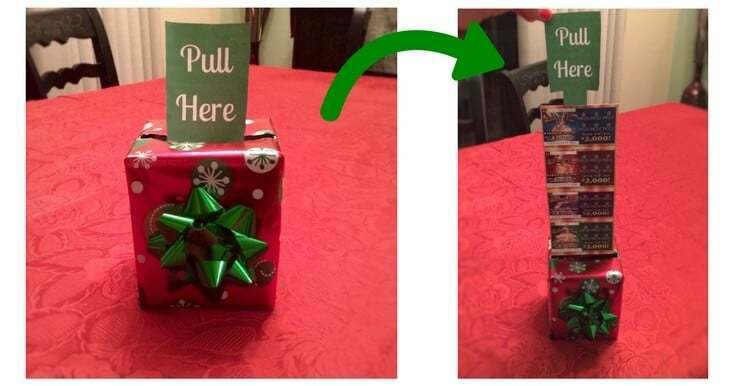 I’m definitely doing this for family next year, after spending over $30 to mail a box, it’s not happening anymore! I could have sent a lot of tickets! I put lottery and scratch off game tickets in the family stockings. They are a big hit!